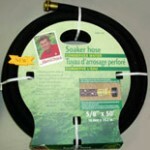 Using this soaker hose, you can gently get water to where it is needed most – the root zone. 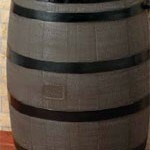 Compact, heavy duty and it delivers water where it is needed. This hose cart holds 200 feet of hose and is built for Canadian weather. 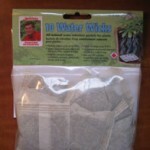 Imagine a tea bag that will reduce the watering of newly planted plants by up to 70%. 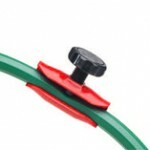 The Floa Constrictor provides the convenience of controlling water pressure virtually anywhere on your hose. The level of quality built into this nozzle is superior to anything I have ever used. 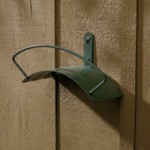 Made of high-impact plastic, has a solid brass faucet, and a well-fitted rust-free mosquito screen. 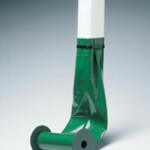 The Mark’s Choice five-foot-long downspout extension is the perfect way to disperse oxygen-rich rainwater onto your garden without damaging it. Keep your hose out of sight and neatly stored.